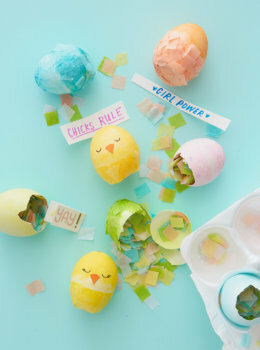 DIY cascarones: Make your own confetti-filled Easter eggs - Think.Make.Share. Rinse out the inside of the egg, then dye it. Put your eggs back in the carton to dry completely. Seriously: Completely. To make your own confetti, fold tissue paper a few times and cut slits along the folds. Unfold the paper and cut along the strips to make squares. You can also use hole punches to make fun shapes or smaller confetti, but be warned: It takes forever. Use some of your paper to make a cone. Use the cone as a funnel to fill the eggs. You might need to poke the confetti all the way in with a pencil or the point of the scissors. We wanted to add something nice to the eggs before smashing them on our friends’ heads. 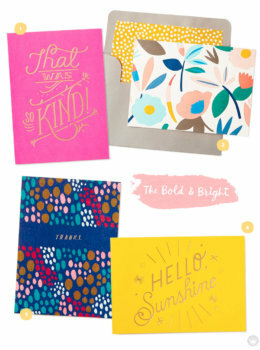 So we grabbed some greeting cards and cut up the covers—then wrote nice things on the back. If you want to add something not nice, we are told you can fill one of the eggs with flour. Don’t tell anyone which one. 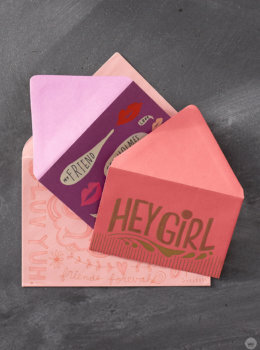 Fold up your messages and tuck them in with the confetti. To close everything up, cut circles or squares of coordinating tissue paper a little bit larger than the egg holes. Next, paint Mod Podge around the edges of the eggs, and smooth a piece of tissue over the hole onto the Mod Podge, then paint more Mod Podge over the edge of the tissue. Avoid getting Mod Podge over the opening, because the confetti inside will stick. Finish by rolling the egg in confetti to cover the Mod Podge. Then let your DIY cascarones dry completely. Cut a tiny beak from orange construction paper and stick it on with Mod Podge or glue. Draw eyes with a permanent black marker. Warning: It is only just vaguely emotionally disturbing to crush one of these little babies on a friend’s head. And yes, we will be a little sad when Easter—the punniest holiday of all—is over. 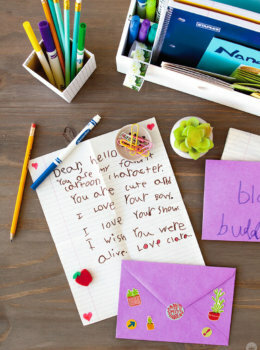 We have so many ideas for Easter fun. 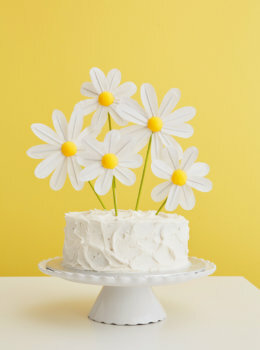 Make these sunny DIY daisy cake toppers, or decorate an ombre cake, striped cake or flower-topped drip cake. 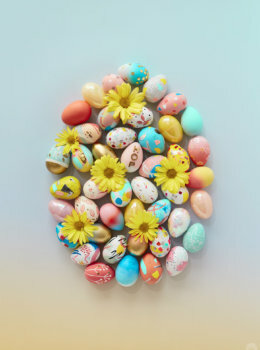 Check out our latest egg decorations or take a look back at these, and these, or these, or these. (Or just look at all of our Easter ideas. 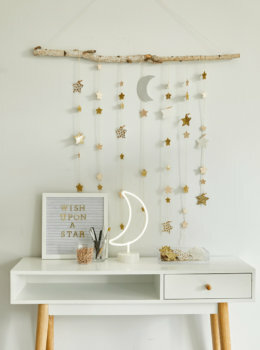 )There’s more to do at Hallmark.com, too. If you try something, we’d love to see it! Share on Instagram and tag @think.make.share.